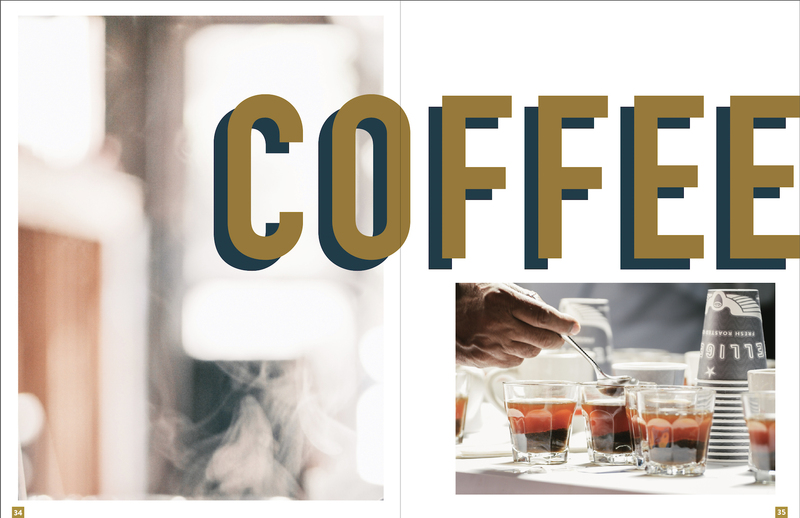 Last month, we partnered with our friends at Root Capital to adapt our Extraordinary Coffee Workshop for a new context and format we call ECWx. Below, I share the BIG IDEA behind ECWx. For an annotated photo essay of the event, click here. The Extraordinary Coffee Workshop, or ECW, is one of the signature innovations of Intelligentsia Direct Trade. Since 2009, we have convened our global Direct Trade network in a different country for a week devoted to exploring and celebrating everything that makes coffee, well, extraordinary. The event generally includes field visits to coffee farms and mills, sensory exercises in cupping labs, presentation of advancements in coffee research and lots and lots of caffeinated discussion of coffee among growers, millers, exporters and members of the Intelli team. Through this combination of formats, ECW delivers inspiration and actionable insight to coffee farmers to help them improve the quality of their coffee and their competitive position in the marketplace. Next month in Bolivia, we will convene our Direct Trade partners — more than 50 partners from 15 countries — for our 10th annual ECW. Meantime, we are celebrating the success of our first-ever ECWx event in Nariño, one of the leading specialty origins in Colombia. ECWx is to ECW as TEDx is to TED — a more intimate version of the original that plays by the same rules as the big event but focuses relentlessly on issues of local relevance. For the inaugural ECWx, that meant a deep-dive on all things Colombian. 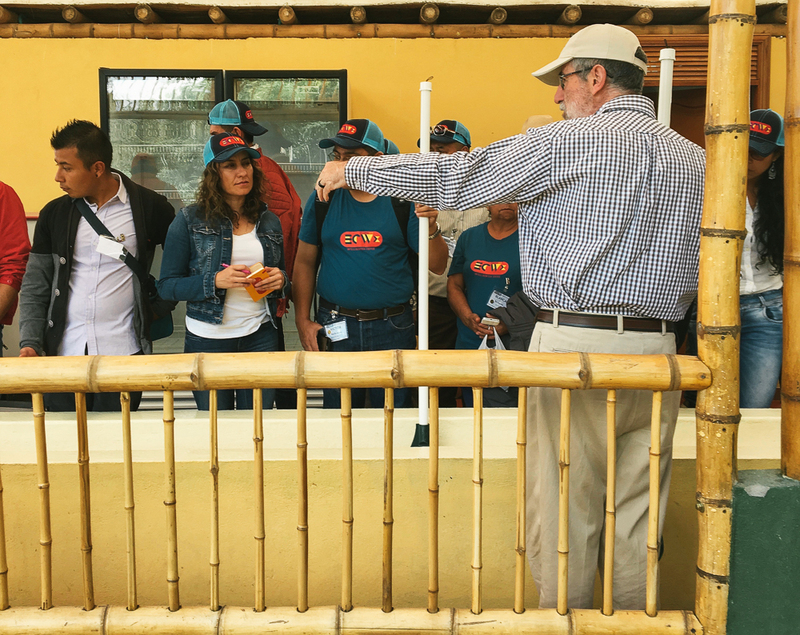 The event featured 40 Colombian smallholder farmers and representatives of smallholder coffee enterprises drinking Colombian coffee, visiting Colombian farms and discussing opportunities for Colombian coffee. ECWx was created explicitly and exclusively for smallholder coffee farmers. Why? 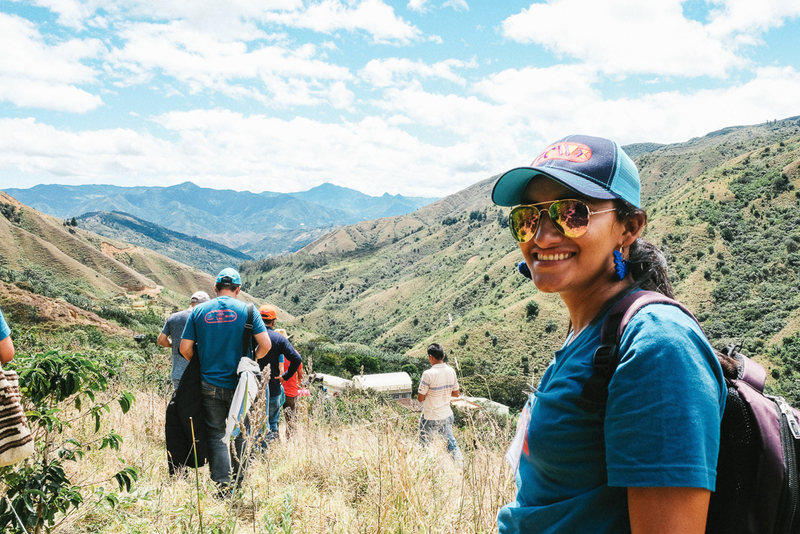 Because we believe specialty coffee’s clearest path to improving social impact at origin is through the inclusion of the coffee chain’s two most marginalized groups of participants: smallholder farmers and coffee farmworkers. 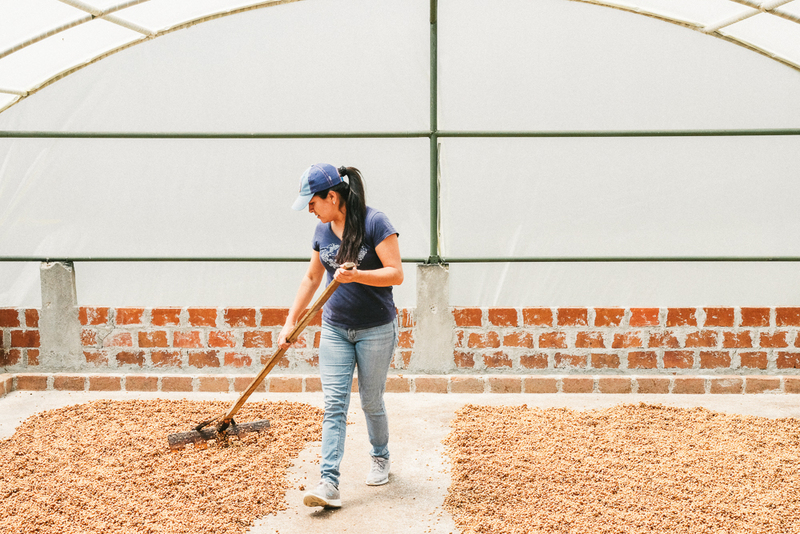 Contributing to greater participation and profitability among smallholder farmers, and helping expand opportunity and improve working conditions for farmworkers, are the best ways to expand the promise of specialty coffee. ECWx is part of that effort, bringing the value we create for Intelligentsia Direct Trade supply chain partners every year through ECW to a broader audience of smallholder growers. While smallholder coffee farmers in places like Nariño can’t compete with growers in places like Brasil on the basis of productivity and farm efficiency, the landscapes in which they grow coffee and their labor-intensive production and post-harvest processing practices give them a clear advantage in producing quality-differentiated coffee. And in a global marketplace that forecasts an acute shortfall of specialty coffee in the years ahead, that is a significant opportunity. ECWx is designed to accelerate the engagement of smallholder participants, many of whom are not currently focused on quality, with the specialty market. 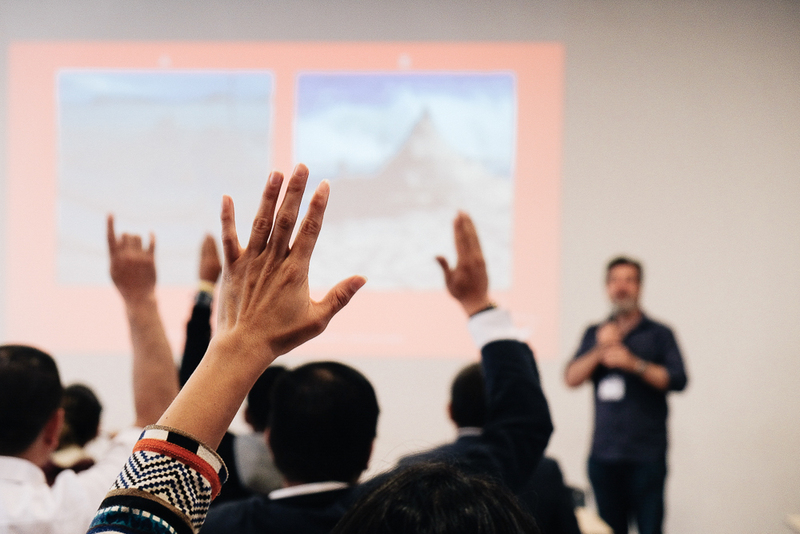 We partnered on our first ECWx event with Root Capital, a non-profit financial services provider based in Cambridge, MA, that has been a leader in social innovation, inclusion and impact. It is hard to think of a better partner in our effort to expand the impact of our model on smallholder farmers. Personally, I have always thought of Root Capital as the Apple of non-profits: by the time mainstream NGOs caught up to what Root was up to, it was already several generations of innovation ahead, piloting the next big thing in enterprise development or social impact. And Root Capital has been amply rewarded for its innovation with just about every social enterprise award in the marketplace. But the organization’s visionary founder, Willy Foote, has insisted that Root Capital’s real impact lies not shiny new objects, but its commitment to learning and continuous improvement over a narrow range of activities, most centrally, its commercial finance operations. Root was born out of a central insight — that grassroots enterprises around the world are stuck in the “missing middle” of the credit market. Too big for microfinance institutions, considered by commercial banks to be too small, too risky, or both, coffee cooperatives and other grassroots coffee enterprises are part of a billion-dollar segment of the credit market that is systematically underserved. Root Capital was born to meet that need, and its success is the surest validation of its initial diagnosis of the need for more liquidity in the missing middle of the market: Root Capital has made more than $1.2 billion in loans to grassroots enterprises since its inception. For an annotated photo essay on ECWx 2018 in Colombia, click here. ECWx was co-funded by USAID and Root Capital as part of a larger project called the Feed the Future Partnership for Sustainable Coffee, also funded in part by Keurig Dr Pepper. The U.S. Agency for International Development leads the U.S. government’s international development and humanitarian efforts in more than 100 countries worldwide. Intelligentsia partnered with Root Capital last month to adapt our Extraordinary Coffee Workshop for a new context and format we call ECWx. 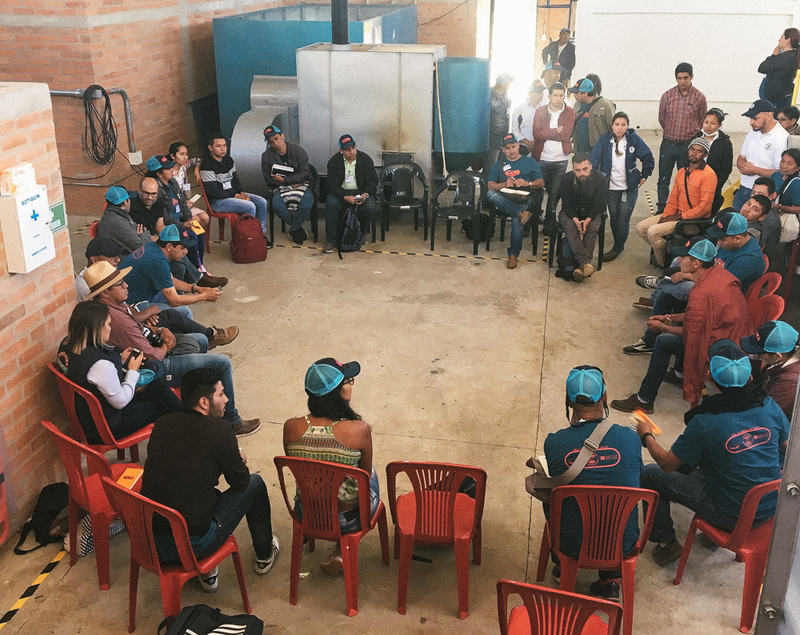 We convened the first ECWx in Colombia for 40 smallholder coffee leaders as part of our commitment to expand the social impact of our model. This annotated photo essay provides a glimpse into the event. For more on the big idea behind ECWx, click here. While we were as anxious as any of the participants to get to the field, we needed the better part of a day to explore quality coffee from multiple perspectives: what it tastes like, how we measure it, where it comes from, its economic implications, what we do as buyers and roasters to conserve and optimize it. Geoff Watts, our Vice President of Coffee and Green Coffee Buyer for Colombia who built Intelligentsia Direct Trade, opened the event with a guided tasting — no better way to begin developing a shared understanding of quality. And to close the day, Alexandra Tuinstra, Vice President of Advisory Services at Root Capital, led a team of presenters from Root Capital which explained how Root Capital’s financial services can improve the competitiveness of grassroots coffee enterprises. 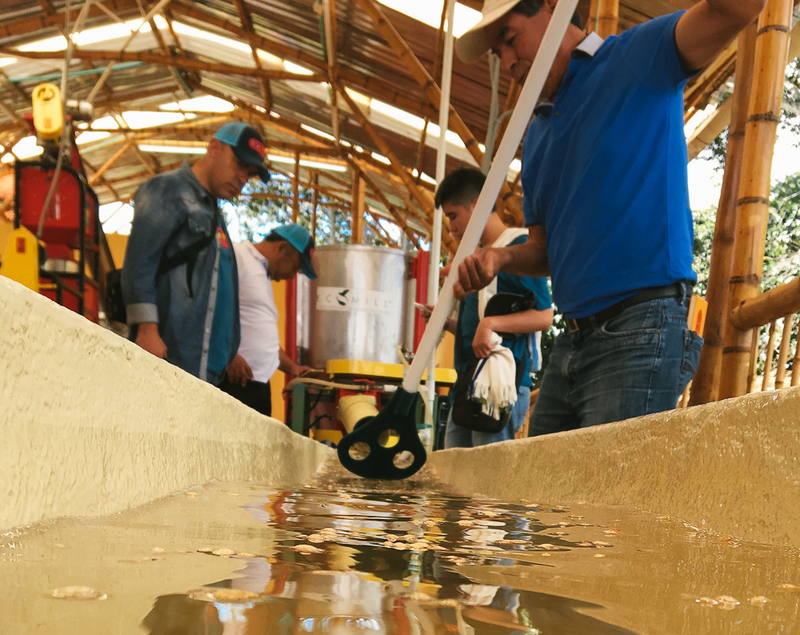 On Day Two of ECWx, we split into two groups to see what a quality-first approach looks like in two different production models: a small estate model in Buesaco and a washing station in La Florida operated by a smallholder organization. In Buesaco, we visited our Direct Trade partner Franco Héctor José López, pictured here, is a five-time winner of Colombia’s Cup of Excellence. 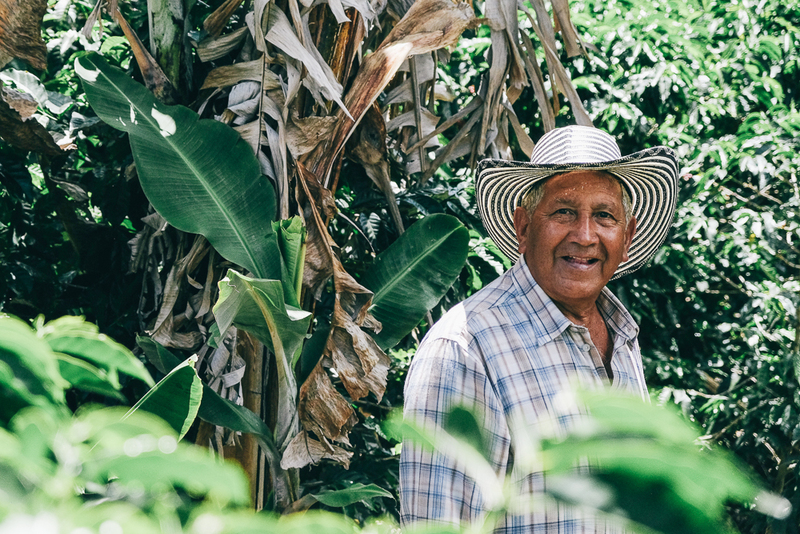 His La Mina farm isn’t significantly different from those of his neighbors in terms of elevation, cultivars, shade cover or agronomic management. But even with inputs that don’t seem to be out of the ordinary for Buesaco, Don Franco turns out extraordinary results. (So do his daughter Cielo and son-in-law Nilson, who have some CoE hardware of their own.) . 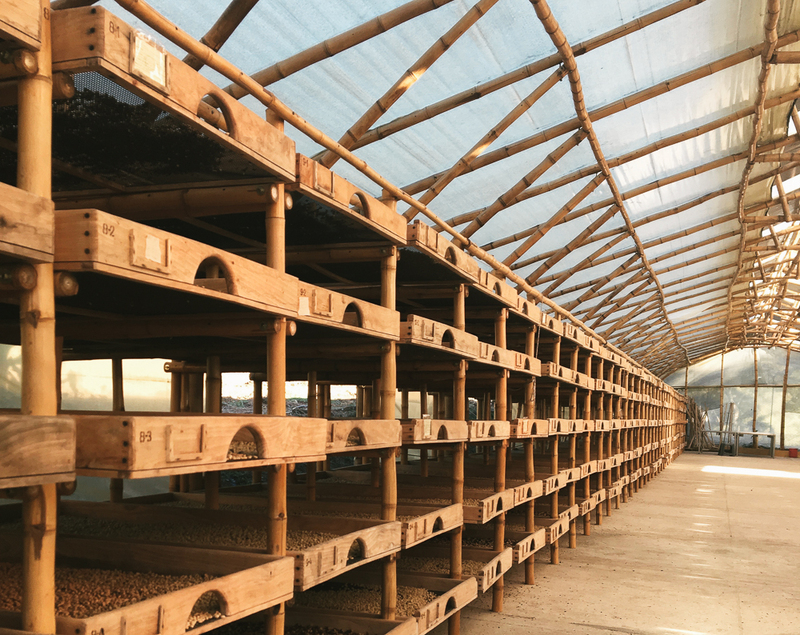 So we walked the farms at Don Franco’s La Mina and San Antonio, one of several farms owned and operated by Cielo and Nilson, to see what award-winning operations look like. Yes, the landscapes are stunning, but that’s par for the course in Nariño. What sets the López family apart is the exacting focus on quality through the harvest and post-harvest stages of the process. 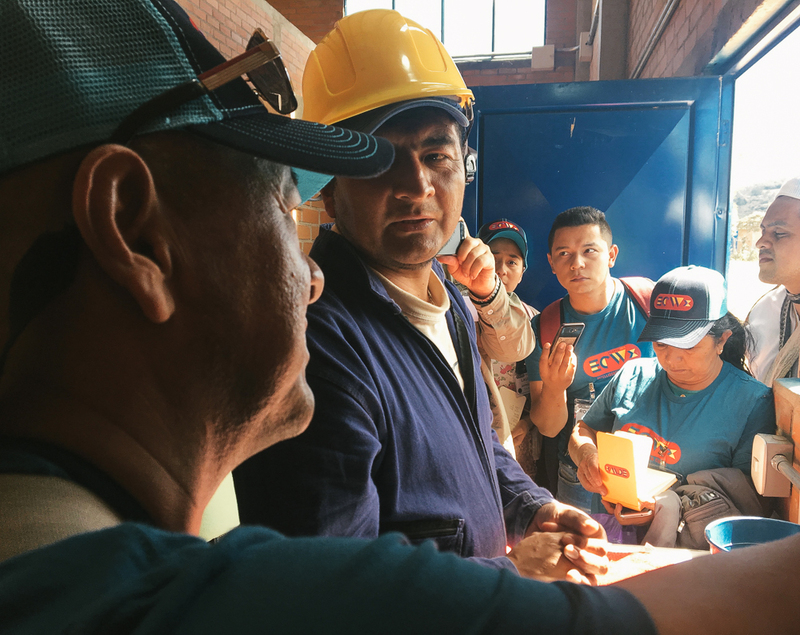 Meanwhile, over in La Florida, the leaders of the audacious smallholder enterprise ASPROCAES led a demonstration of cherry reception and processing in the washing station they operate — a first in Nariño. Given that there are no other washing stations in the region, the organization is designing everything from scratch, including the processes for cherry reception and grading, conversion to parchment calculations and payments. The day closed with an invaluable session in which participating farmer organizations offered their assessments of the process and recommendations. 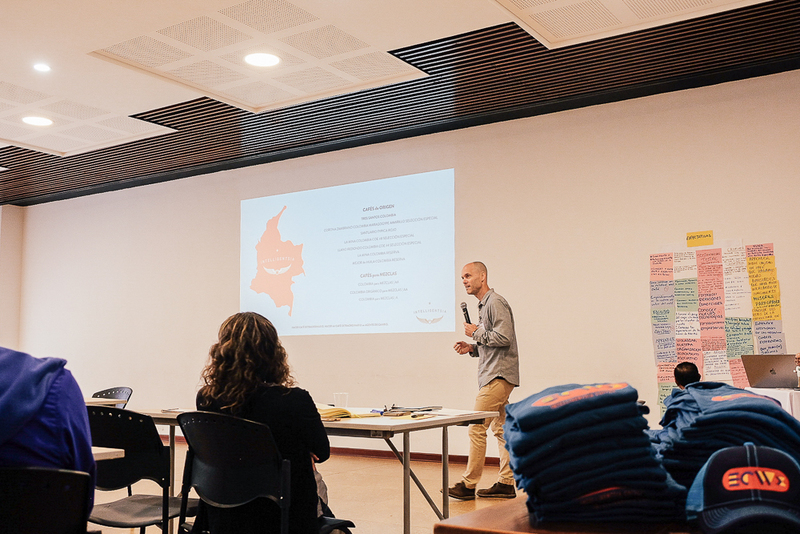 We spent the morning of Day Three back inside, hearing a series of insightful presentation from a range of organizations on the importance of information management for decision-making and competitiveness including pioneering Fair Trade cooperatives, the supply chain information management platform Cropster and an organization in Nariño that produced the first-ever Blockchain lot for the Dutch market. 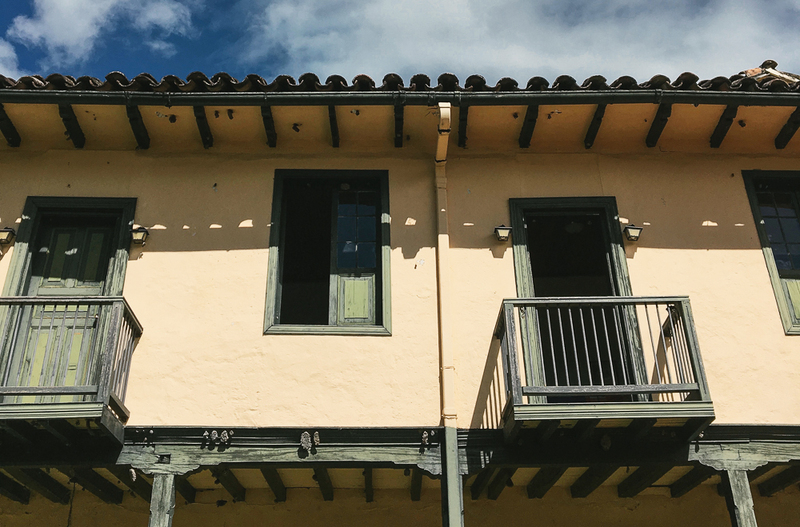 In the afternoon, it was back to the field to visit El Obraje, a large estate by Nariño standards that was designed with architectural precision by its architect owner Pablo Andrés Guerrero, pictured below. The farm was built from the ground up to produce quality, featuring traditional and exotic cultivars, and employs an experimental approach with short learning and innovation cycles applied to shade cover, renovation, irrigation and other production variables. During the fourth and final day of the event, the entire operation decamped to Villa Loyola, a century-old farm owned and operated by the Jesuits that won the 2008 Colombia Cup of Excellence, to explore the entire coffee process, from soil management to the cupping table. Fr. José Aguilar is the Jesuit priest who oversees the farm. His first order of business when he took the reins more than five years ago was to convert the farm to organic production, remineralizing the soil and boosting its organic content with pulverized rocks obtained locally and homemade organic fertilizers. He has since turned the wet mill and drying facilities into centers of experimentation open to smallholders in the community. The wet mill conveys cherry with harvested rainwater, which it recycles, and uses water-efficient technology. The ingenious drying facilities are built almost entirely of a local variety of bamboo that is both fast-growing and strong. He led the group on a tour through the entire process — a highlight of the week for many of the organic farmers who participated in ECWx. The event closed with a cupping of coffees from across Colombia. 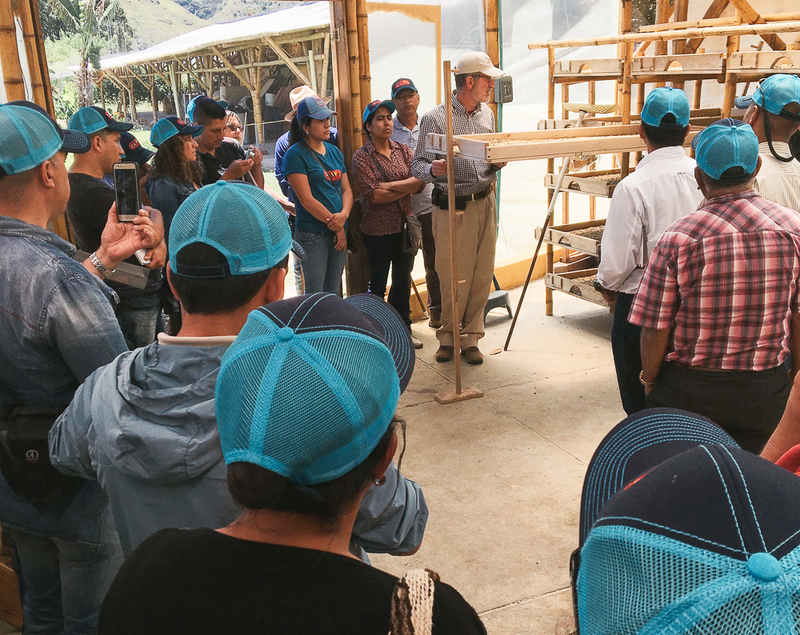 The core principles and standard practices of our Direct Trade program contribute to the resilience of our supply chain partners by insulating them from risk. Our commitment to direct engagement with growers and our investment in the annual Extraordinary Coffee Workshop reduce the market risk of our partners by giving them information and skills that help them meet the requirements of the world’s most demanding buyers. The mutual commitment to quality on which our Direct Trade relationships are built it itself a hedge against both price risk and market risk, and our standard fixed prices and multi-grade contracts help our supply chain partners mitigate those risks even further. But these principles and practices are most powerful when married to our commitment to long-term trading relationships. My first few buying trips for Intelligentsia were to countries where I used to live and work. During one of them, I made a point of meeting up with an old friend, an old codger who happens to also be an award-winning coffee grower. We were exploring the idea that he might start selling to Intelligentsia, and his son began interjecting excitedly, selling me on the virtues of this special-process lot or that varietal lot. When he persisted, I suggested he misunderstood. He was trying to sell me a specific fresh-crop coffee, but I wasn’t looking for a coffee from the current harvest. I was looking for a partner with with whom we might build coffees together over many harvests. It is easy for roasters to get great coffees every year. That might sound flip, but it is true. Roasters, that is, who don’t care about relationships, aren’t willing to commit to multi-year purchases, and don’t want to bear any of the risk of agriculture. What is harder is committing to a grower or a group of growers and sourcing great coffee from them year after year. Relationships are hard. Agriculture is harder. Building and sustaining lasting, mutually beneficial relationships in agriculture is very hard indeed, especially with a crop like coffee. Achieving and sustaining quality in coffee requires investment. And it and involves risk. My experience in the international development space and as a coffee buyer has taught me that growers are more likely to take risks and make investments this year if they have commercial partners who can be counted on to show up next year. And the year after that. And the year after that. We made our first purchase of a fully traceable lot from CEPCO in Oaxaca all the way back in 2002, as this blurry, dog-eaten photo from our archive attests, and have been showing up ever since. But committing to a relationship with a coffee grower means coping with risk, accepting occasional disappointments and even absorbing a flat-out failure now and again. These are just part of the Direct Trade territory. Sometimes this means just buying coffees that don’t perform as well as any of us would like. Other times it means working with growers to structure innovation pilots on a small scale and committing explicitly to purchase the results of joint experimentations — even when those experiments don’t work out. We have purchased some coffees that were less-than-spectacular as a result of these commitments. While it was never fun to do so, it was always important. Those purchases insulated our partners from risk. They sent a clear signal of our commitment. And they represented strategic investments in the future of our relationships — the risk capital that generates future returns in the form of steady access to amazing coffee and keeps the Direct Trade engine humming. This is the final installment in series of seven posts summarizing our participation in the Sustainable Food Lab 2018 Leadership Summit and exploring the ways our Direct Trade model helps to reduce the risks faced by coffee growers. Once a year, we convene all our Direct Trade partners from around the world — more than 50 growers and representatives of farmer associations, washing stations and exporters from 15 countries on four continents — for a week of farm visits, cupping sessions, presentations, meetings, shared meals (and sometimes spontaneous dance parties) that we call the Extraordinary Coffee Workshop. 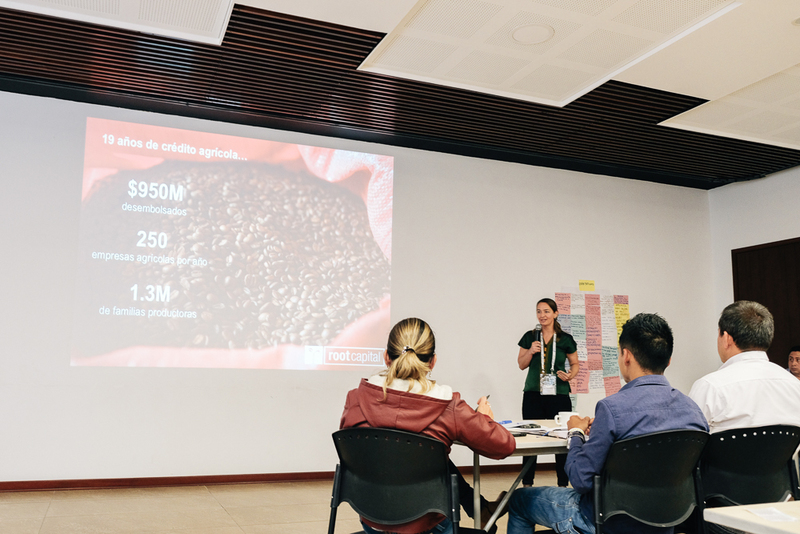 The ECW program is carefully designed to deliver actionable insights to participants through a variety of formats on a broad array of issues, including agronomy, post-harvest processing, innovations in coffee science and technology, market trends and more. The event is held in a different country every year, celebrating the coffee culture of the host country and exploring unique local practices that might be effectively applied in other countries and contexts. Perhaps as valuable as the formal program of the event is the unstructured interaction between the diverse and award-winning participants. 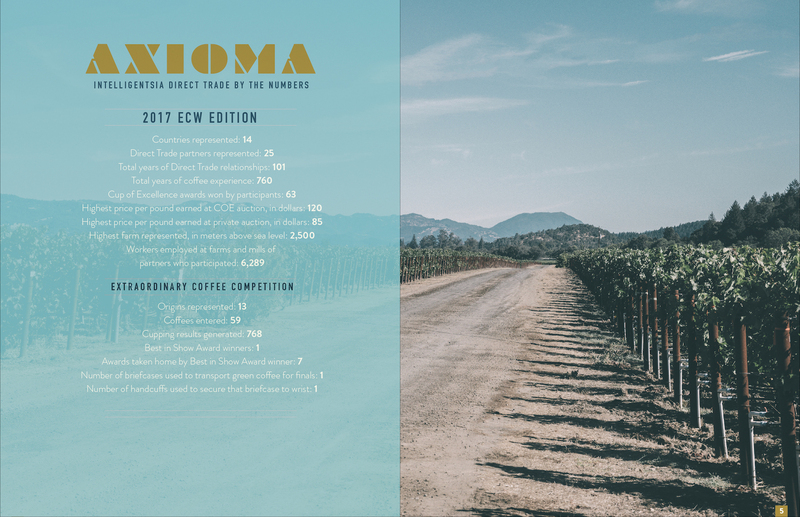 Participants in the 2017 ECW event had collectively won honors at the Cup of Excellence, the world’s most rigorous and prestigious coffee quality competition, an astounding 63 times. It is like the All-Star game of coffee, and participants learn from each other as much as they do from us. All of this adds up to a source of real value for our Direct Trade partners. It also represents another important hedge against market and price risk. A week of exhaustive joint exploration of quality from seed to cup with your entire supply chain amplifies market signals like nothing else you might imagine. And the entire affair is designed to ensure our partners have the knowledge and skills they need to execute on their strategy of quality-based differentiation and succeed in the marketplace. The first issue of our Ad Lucem magazine is an account of the most recent edition of ECW, held in San Francisco. ECW 10 is planned for Bolivia in September 2018. This post is the sixth in a series of seven posts summarizing our participation in the Sustainable Food Lab 2018 Leadership Summit and exploring the ways our Direct Trade model helps to reduce the risks faced by coffee growers. The idea that Direct Trade is all about microlots is pervasive. And persistent. And, at least in our case, dead wrong. Direct Trade is a sales practice related to the growing, selling, and buying of microlots — small amounts of coffee grown with an unusual attention to detail on pinpricks of land. To her credit, she goes on to suggest that Direct Trade isn’t all about microlots. It includes single-origin lots, too, she says. The Direct Trade label can also apply to single-origin coffees. Single-origin refers to disaggregated beans grown in somewhat larger areas of a single farm or possibly several farms. A single-origin may produce as much as 50 or even 100 bags of unusually high-quality coffee. Even this broader definition of Direct Trade is fatally narrow, however. And if this is the definition offered by someone who has had years of exposure to the chief architects of the model, then there is little hope that casual observers of specialty will understand what Direct Trade is really about. We believe coffee has a natural pyramidal distribution, with the lowest-quality coffees being most common and occupying the base and the highest-quality lots being rarest and occupying the peak. This vision is intuitive. Extraordinary quality is hard, after all, and producing low-grade specialty coffees easy by comparison. But the vision is also empirical. While we draw a higher baseline than most other specialty companies, with purchases beginning closer to 84 points rather than 80 points, our purchases neatly reflect this pyramidal construct. In other words, our Direct Trade model isn’t just concerned with the small lots of coffee at the peak of the pyramid. It is the whole pyramid. For us, Direct Trade isn’t a “sales practice” at all. It’s a sourcing model. The way we buy coffee. Period. To be fair, we contribute to the popular tendency to equate Direct Trade with microlots and single-origin lots. Call it the Pareto principle of coffee quality: it seems we spend roughly 80 percent of our time and energy breathlessly promoting 20 percent of our coffees. But who could blame us? Our Special Selection microlots push the frontiers of flavor: their superlative sweetness, crystalline clarity, cultivated complexity and sheer delight, they are unimpeachable evidence for our our conviction that coffee is culinary. And our single-origin I-marks represent what is best about the countries and regions where they are grown. We can’t blame observers of specialty coffee, even careful, veteran observers like Michaele, if they share our enthusiasm. But in failing to look beyond our headliner coffees, we miss something important, and not just the extraordinary quality of our everyday blends. If Direct Trade were, in fact, just about microlots and single-origin lots, it would merit the crass derision and casual dismissal of its many critics. But Direct Trade, at least as we practice it at Intelligentsia, isn’t as easy to dismiss. We work intentionally to fill the containers we buy from our Direct Trade partners with as many as four or five different quality grades, from single-A all the way to microlots, with graduated premiums. Our purchase of A-grade and AA-grade coffees along with the single-origin AAA lots and microlots represents an extraordinary source of value for our partners, who struggle to find reliable markets and meaningful premiums for their larger volumes of lower-grade coffees. There is enormous opportunity cost for growers in the hustle to find buyers for those coffees, and invariably, real financial losses when they are sold through conventional trading channels. I suppose there is one way in which Direct Trade is all about microlots: in most cases, it was the pursuit of microlots that helped our partners begin separating their coffees in the first place, making our multi-grade purchases and our entire Direct Trade model possible. 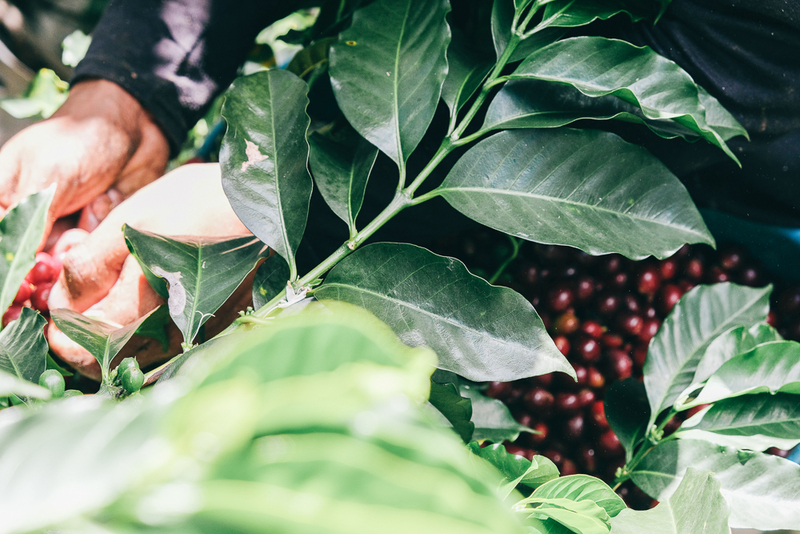 As much as any other single thing we do as part of the Intelligentsia Direct Trade program, this practice of multi-grade contracting creates value and efficiency for growers, and significantly reduces their market risk. But because the microlot myth has such a firm hold on our collective coffee imagination, it is rarely identified as one of the benefits of the model. This post is the fifth in a series of seven summarizing our contribution to the Sustainable Food Lab 2018 Leadership Summit, focused on resilience, and is part of a series exploring the ways our Direct Trade model helps to reduce the risks faced by coffee growers. From the day we opened the doors at our original location on Broadway in Chicago’s Lakeview neighborhood back in 1995, our business has been built on quality-based differentiation: we have always worked to deliver the best coffee and the most elevated experience in the marketplace. When we started traveling to origin and building our Direct Trade model a few years later, the same principle applied: we sought out estates, farmer associations and washing stations that shared our obsession with coffee quality and saw it as the most reliable and lasting source of value. 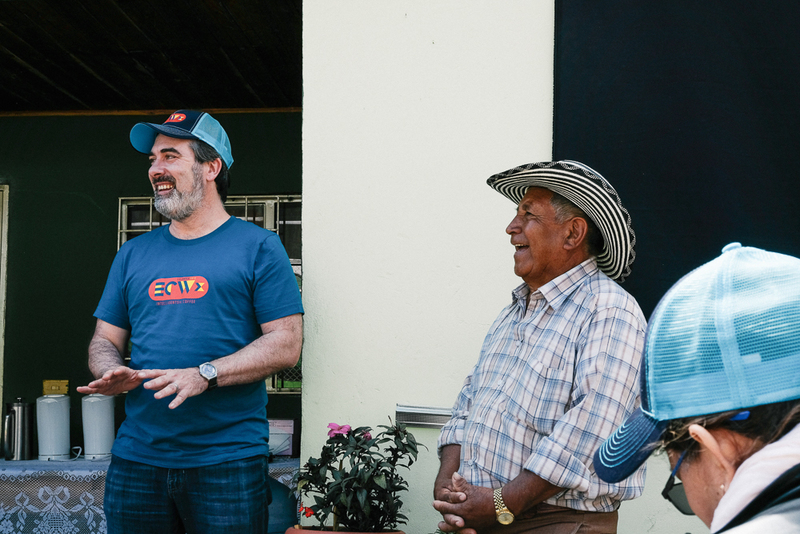 As it turns out, the promise of quality that resonated so clearly to us in the marketplace also resonated at the other end of the coffee chain with growers of all sizes. Our Direct Trade partner network is filled with them: more than 50 farms, farmer associations and washing stations whose commitment to quality has earned them awards and a privileged place in our supply chain. Their eager embrace of a quality-first strategy is due in part to the fact that it represents an important hedge: their ability to earn quality premiums insulates them from low prices in the market. As of this writing, May futures contracts are closing at less than $1.14 per pound, less than production costs in just about every coffee-growing country with the possible exception of Brazil. Few farmers earning these kinds of prices can turn a profit or continue to grow coffee for long, least of all the smallholder farmers who grow the majority of the world’s coffee. This is the commodity trap: competition on the basis of price alone in a market that rewards size, scale and efficiency and is agnostic on the issue of quality. Quality premiums offer an escape from the commodity trap, helping to mitigate the risk of low prices. But premiums alone do little to protect growers from the extreme price volatility that characterizes coffee futures markets. The free-hand scribble above roughly tracks coffee futures market prices over the better part of the past half-century. With so much uncertainty about what coffee prices will be like tomorrow, it is hard for coffee growers to reinvest in their farms with confidence today. That’s where our fixed-price contracts come in. Unless we are explicitly asked to do so by our partners, we never contract coffee based on differential pricing. Our preference for fixed-price contracts is related to our central commitment to quality. We believe each of the first three tiers of quality in our model — A, AA and AAA, where A is the lowest and AAA is the highest — have an intrinsic value as defined in part by what the market will bear. We have settled into narrow graduated price bands for each of these tiers that remains stable year-over-year independent of what may be happening in the futures market. Combined with the price premiums we pay for quality, our fixed-price contracts help to deliver prices that are high enough to ensure growers earn a profit on every pound of coffee they sell us and stable enough for them to be able to accurately predict their coffee earnings over multiple seasons and make business decisions accordingly. 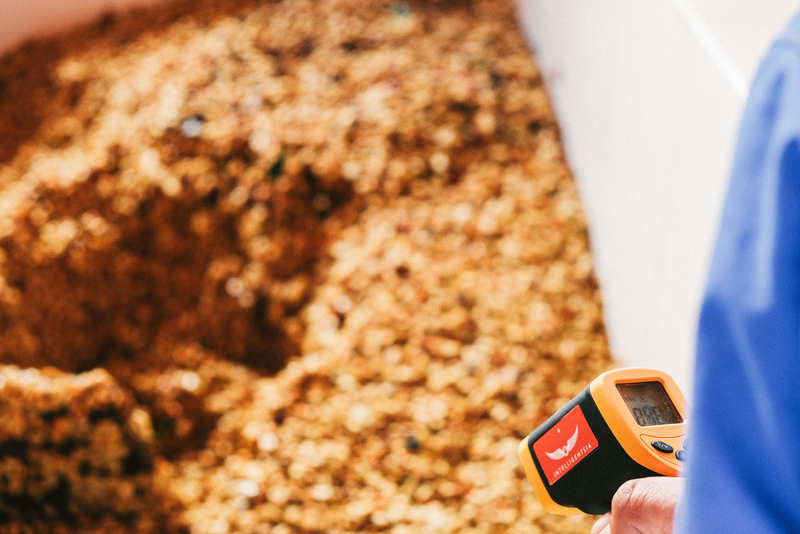 Our approach to pricing and contracting gives coffee growers something that is invaluable in a marketplace characterized by uncertainty: the ability to plan confidently for the future. This post is the fourth in a series of seven summarizing our participation in the Sustainable Food Lab 2018 Leadership Summit and exploring the ways our Direct Trade model helps to reduce the risks faced by coffee growers. Arguably the most important principle of our Direct Trade model is the one implied in the name: a commitment to direct engagement with the farmers who grow our coffees. Collectively, the buyers on our sourcing team routinely log a quarter-million miles a year traveling to visit with more than 50 Direct Trade partners in 14 countries. This commitment to tireless travel grew out one of the company’s early insights: that our influence over quality would always be limited if we were only controlling variables related to the roasting and extraction processes. We came to understand that the quality frontier of a coffee is determined primarily by the ingredient, the raw agricultural product that we purchase. 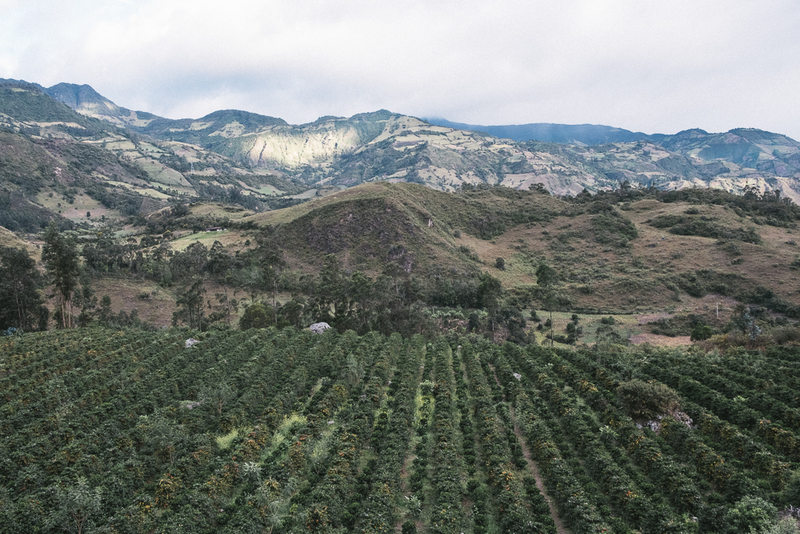 This insight set us on a collision course with coffee’s origins and direct collaboration with growers as part of our commitment to source, roast and serve the very best coffees in the world. It is a commitment that amplifies the market signals transmitted to growers and reduces the noise. With no intermediation of the conversation between growers and buyers, there is no distortion of the complex messages we send growers on issues of quality, volume, price, communications, innovation and more. Think of the common salon game Telephone: a simple message is whispered from one person to the next around a dinner table, and the distortions, sometimes radical, are the source of some entertainment. Now consider that we generally play this game with friends who share the frame of cultural reference and same language, and often a similar social class and education level. Imagine what happens when that game is stretched across continents, time zones, cultures, languages and social class, and rarely played in real-time. And now consider what happens when the messages being conveyed are nuanced. Clearly, the potential for distortion is higher when coffee-related communication is conducted through a network of supply-chain intermediaries, and the likelihood of crisp execution of innovation projects is lower. In my previous work in the international development space, I felt like this basic commitment to being there, which seems so simple, was everything. Anything seemed possible when communication was direct and unfiltered. I used to liken it to a professor telling you what questions would be on an exam before it was administered: it was still possible you could fail, but that failure would be a direct result of your preparation and execution, not one of understanding what was expected of you. Direct engagement is not necessarily sufficient on its own to build a lasting relationship. A roaster still needs to deliver a compelling value proposition to growers. But it sure helps to build the trust and mutual understanding on which the best and most enduring relationships are based. As a development professional, I found myself consistently privileging collaboration with roasters, like Intelligentsia, that made this commitment to direct engagement precisely because it delivered so much value to the growers with whom I worked. That perspective was validated during my first year as Intelligentsia’s Director of Sourcing when I sent a survey to our Direct Trade partners: they identified the regular visits of our buyers as one of the most significant sources of value created by our Direct Trade model. This post is the third in a series of seven summarizing our participation in the Sustainable Food Lab 2018 Leadership Summit and exploring the ways our Direct Trade model helps to reduce the risks faced by coffee growers. Image courtesy wikicommons media. Beginning about a decade ago, the term resilience began a steady climb to ascendancy in the field of international development. In that domain, resilience refers to the ability of disadvantaged people to draw on different forms of capital — financial, natural, physical and social — to limit their vulnerability to specific threats in a context fraught with risk. Market risk | Risk associated with the failure of growers to respond to market trends or requirements, or to deliver coffee that meets market standards. This category also includes the inefficiency and opportunity costs associated with failure of growers to find ready buyers for some or all of their coffee. Price risk | Distinct from market risk, price risk is associated with price-discovery mechanisms and secular market conditions that keep coffee prices low, volatile, or both, as well as the implication of market uncertainty on a farmer’s willingness to invest in coffee. Production risk | Risk associated with environmental shocks, significantly amplified in a period of accelerated climate change, that can include drought, frost, extreme weather events, pests and diseases, etc. Foreign exchange risk | Risk associated with the appreciation of local currency against the U.S. dollar, in which contracts are generally denominated, which reduces the purchasing power of local currency. The last of these issues is almost entirely beyond the control of coffee growers, depending in large measure on the monetary policy decisions of central banks that are supposed to be independent, beyond the influence of domestic politics or the interests of specific sectors of the economy. And while a grower’s practices, from the cultivars she chooses to plant to the way she manages them on her farm, can mitigate production risks, climate change creates a dynamic threat environment in which yesterday’s best practices may not be sufficient to combat today’s threats or anticipate tomorrow’s. We participate proudly in the WCR Checkoff Program as an investment in the tools and technologies coffee growers need to adapt to climate change, but given the stickiness of our fossil fuel habit as a species and the collective neglect of research as an industry, we are all playing catch-up. If there is any good news here for growers, it is that each of the overarching principles on which our Direct Trade model is built — and some of the specific ways it is implemented at Intelligentsia — go a long way to helping mitigate the first two categories of risk. I start exploring those principles tomorrow. 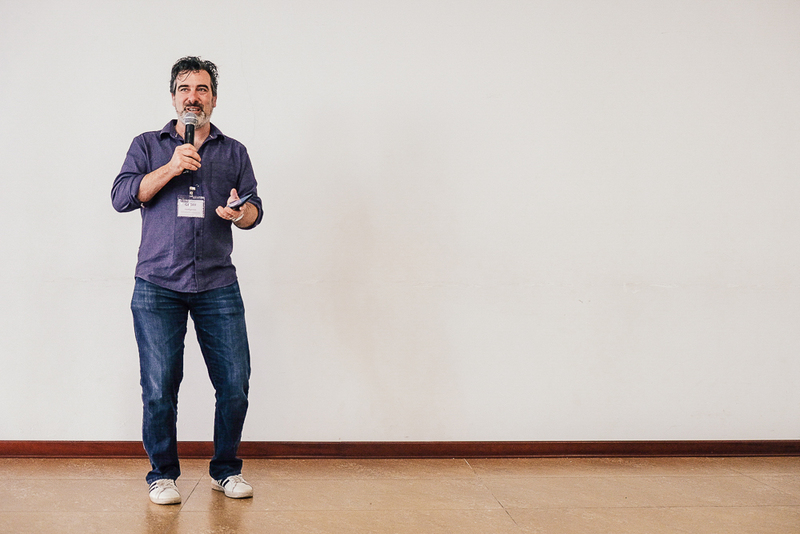 This post is the second of seven in a series summarizing our participation in the Sustainable Food Lab 2018 Leadership Summit and exploring the ways our Direct Trade model helps to reduce the risks faced by coffee growers. Last month, I was invited by old friends at the Sustainable Food Lab to join its annual Leadership Summit in Mexico. SFL is an extraordinary Vermont-based non-profit that is so unique it is hard to characterize. For my part, I would call it a membership organization devoted to fostering pre-competitive multi-stakeholder engagement and cross-sector collaboration to make global food systems more sustainable. The SFL platform supports organizational learning and innovation and convenes “safe spaces” for exploration of key sustainability challenges and opportunities among leaders in food and beverage sector. Its members and collaborators include leading multinationals (think Mars, Pepsico and Unilever), leading global coffee brands (Nespresso, Keurig and Starbucks), research institutions in the Consultative Group for International Agricultural Research like CIAT and CIMMYT, non-profits and ministries of agriculture. Every year, SFL convenes its members and special guests to explore a salient topic through a combination field visits and two days to work. The theme of the 2018 Leadership Summit was Leadership for Resilient Agriculture, with a clear focus on production risk in a period of accelerated climate change. It emphasized coffee as a sector that is both uniquely vulnerable in Mexico and a priority in the agriculture ministry’s new long-term agriculture development strategy. 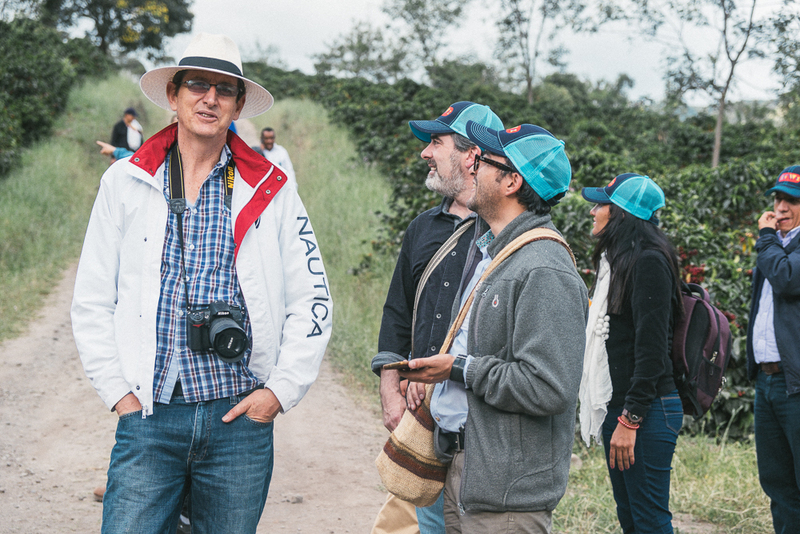 The Summit included a field visit to coffee farms and projects in Chiapas and two plenary sessions focused on coffee. I was invited to join one of those plenary sessions devoted to an exploration of business models and the role of private-sector actors in contributing to greater resilience in the coffee sector. Over the coming days, I will summarize my contribution to the SFL Summit in a series of posts here examining the way our Direct Trade model helps to make coffee growers in our supply chain more resilient by helping mitigate certain risks that most growers face, beginning tomorrow with a taxonomy of what we consider to be the primary sources of risk in coffee farming. 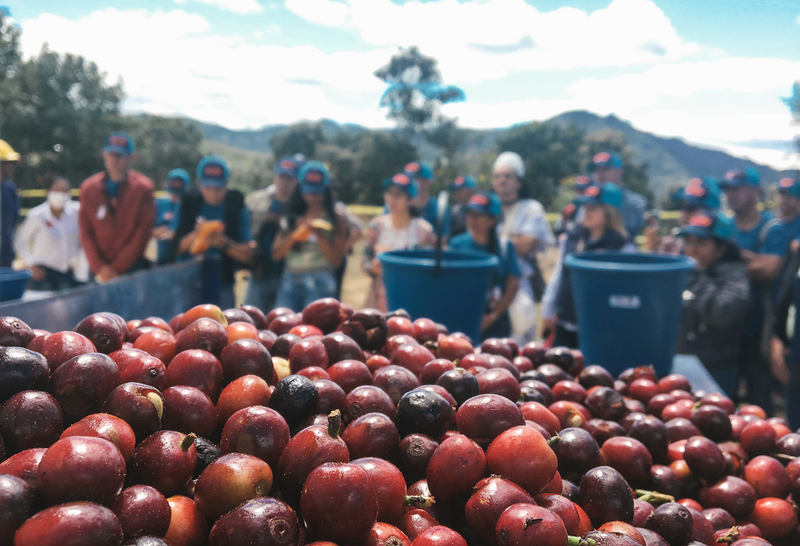 This post is the first of seven in a series summarizing our participation in the Sustainable Food Lab 2018 Leadership Summit and exploring the ways our Direct Trade model helps to reduce the risks faced by coffee growers. Follow the links below to the remaining posts in the series. 2 | The Four Horsemen | Introducing the four principal sources of farmer risk, as we see them at Intelligentsia: market risk, price risk, production risk and foreign exchange risk. 3 | The signal and the noise | How the direct part of Direct Trade creates value and mitigates risk by amplifying the signal and reducing the noise the market sends to origin. 4 | Escaping the commodity trap | How the mutual commitment to quality on which our Direct Trade relationships are based, and our commitment to quality incentives and fixed prices, hedge market risk and seize market opportunity. 5 | Busting the microlot myth | Taking on the most pervasive, persistent and pernicious myth about Direct Trade — that it is all about microlots. 6 | ECW: What’s risk got to do with it? 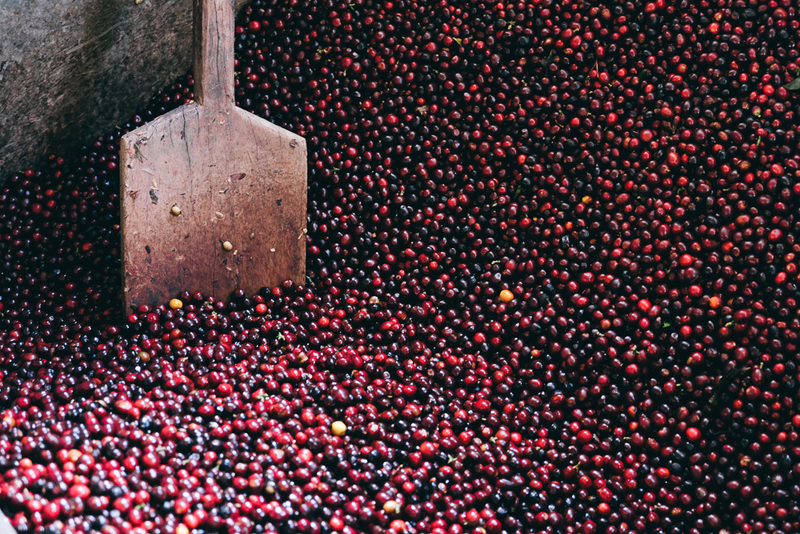 | Our annual supply chain gathering is more than an exploration of the sources of extraordinary coffee — it actively hedges market risk for growers. 7 | Being there | Direct engagement, annual visits, quality premiums, fixed prices, multi-grade contracts, ECW — each one of these practices mitigates risk for growers. Together, they represent a source of significant value and contribute to farmer resilience. But they are most powerful in the context of stable, long-term relationships. Today we celebrate the inaugural releases of two single-origin coffees: our Port of Mokha Al-Jabal Yemen Special Selection and our Flor de Março Brazil Limited Release. The coffees come from origins that could not be less alike. But they have three things in common. They are both delicious and represent the best of their respective origins. They are both fly-crop coffees. And they are both likely to become permanent fixtures on our expanding single-origin menu. Flor de Março, which translates literally to March Flower, is a bit of an environmental freak. The coffee in Espirito Santo region flowers in November. Nine months after the coffee tree flowers, the farmer will have cherries ready to pick. But in the mountains of Espirito Santo where we sourced this lot of smallholder coffee, there is a second flowering four months later. While it is common for a coffee tree to have multiple flowerings, it is unusual that they are separated by a four-month period. This gap in time means that the coffee from the March flowering matures under very different climatic conditions than the November flowering. For example, the March coffee does not experience the dry conditions from November to April and it is maturing through the rainy season. For reasons we don’t fully understand yet, these environmental differences have a dramatic impact on the coffee’s flavor. We have cupped coffees from the same farm from multiple flowerings—one from the November flowering and another from the March flowering—and the March flowering is almost always better, and not by a small margin. Coffees from the March flowering routinely outscore their November counterparts by five points or more! 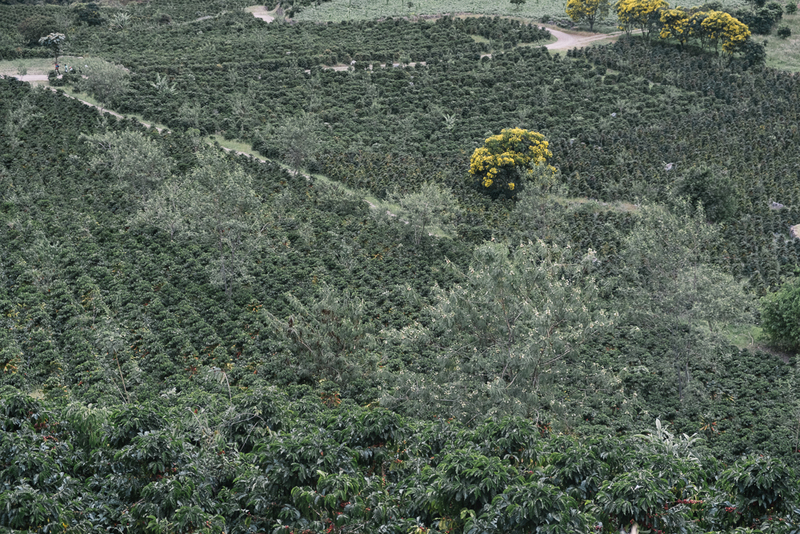 The Flor de Março coffees have some of our favorites from Brazil. Over the past two seasons, we have been working patiently to develop relationships with a small group of family farmers in Espirito Santo who share our commitment to quality. As we expand our project in Espirito Santo in the years ahead, we will have steadily more coffees from what is probably the most exciting and under-appreciated coffee region in Brazil. In the meantime, enjoy this release and celebrate the impact that Mother Nature has on flavor!